These super cute jars are the perfect size for jams, baby food, and small samples or individual size servings of mustard or sauce. They also can be used to store herbs and spices. 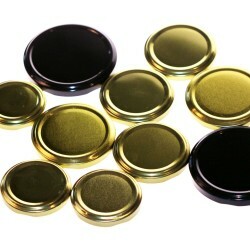 They come in a box of 12 with 40mm glass lid, extra small rubber seal and 2 stainless clamps. 12 x 50ml Weck Mini Tapered Jar 755 - supplied in a case with each jar having a glass lid, rubber s..
12 x 220ml Weck Mini Tulip Jar - 762 - includes glass lids, seals and clampsWeck Mini Tulip 220m..